Baptisms, Marriages, Funerals and Thanksgivings. The Alfred Jewel (shown in the picture – top left) was found at North Petherton in 1693, it belonged to King Alfred. Made of different precious stones/metals it makes a stunning whole. The local churches felt this reflected them: united and yet distinct. 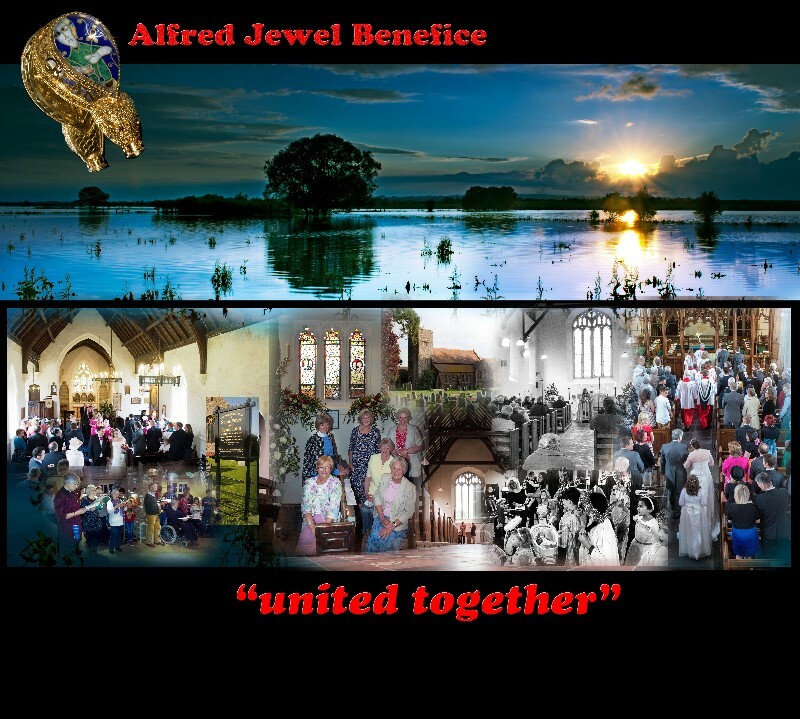 Hence The Alfred Jewel Benefice. The Christian community here is living and active and behind the faces of all those you see is the face of Jesus Christ whom we worship. Whatever your background, situation or age you are assured of a warm, friendly welcome from these communities of people who have discovered the reality of a loving God who gives meaning to our lives. We pray that, whatever your background, situation or age you will experience, with us, God’s love and peace.